Visit Chateau de Fontainebleau and Saint Germain des Pres Quarter for their historical value. Eschew the tourist crowds and head to Chartres Cathedral and Le Marais. Get out of town with these interesting Paris side-trips: Memorial de Dormans 14-18 (in Dormans), Musee du Tresor de l'Hotel-Dieu (in Chateau-Thierry) and Musee Jardin Bourdelle (in Egreville). 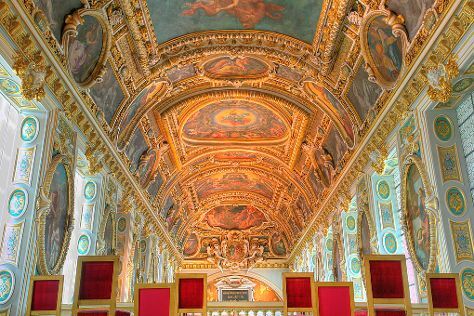 There's still lots to do: examine the collection at Musee Rodin, look for gifts at La Cave Du Marche, explore the historical opulence of Chateau de Villebon, and take in the architecture and atmosphere at Eglise Saint Martin. For more things to do, other places to visit, where to stay, and other tourist information, use the Paris day trip site . If you are flying in from Australia, the closest major airports are Paris-Orly Airport, Charles de Gaulle International Airport and Paris Beauvais Tillé Airport. In October, daytime highs in Paris are 19°C, while nighttime lows are 10°C. Cap off your sightseeing on the 11th (Thu) early enough to travel back home.